I guess I have to open a new page to post a picture of the key that opens the cabinet of my Daneker grandfather/mother clock. So here it is. This is called a cabinet barrel key. It has a hole in the tube that lets it slip over the pin in the lock. 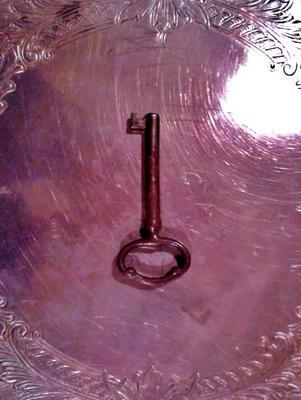 This is not the original clock key, it is simply a skeleton key I found that works my lock.